‘[At Benty-rig] where two friends [i.e. Society people], sent from the societies in Galloway, to call him back there to preach and baptize, were. He rose and went out, being a desert place, to a moss-hag, being the best chamber ofttimes that he, Cameron, Renwick and Sheil[d]s had in these Days, who displayed the publick banner of the Gospel, after Bothwel-bridge. It was but a short time that he stayed in company and converse. For many of Walker’s readers in 1732, Donald Cargill’s foretelling of a conspiracy involving Catholic foreign powers and ‘wicked unhappy men in this land’ must have seemed remarkably prescient. Faced with a Jacobite threat that posed as existential threat to the Presbyterian settlement of Scotland and to the nature of the United Kingdom, General Wade was busy securing the Highlands against both foreign and homegrown insurgencies. However, Cargill’s remarks had been made in a different context. 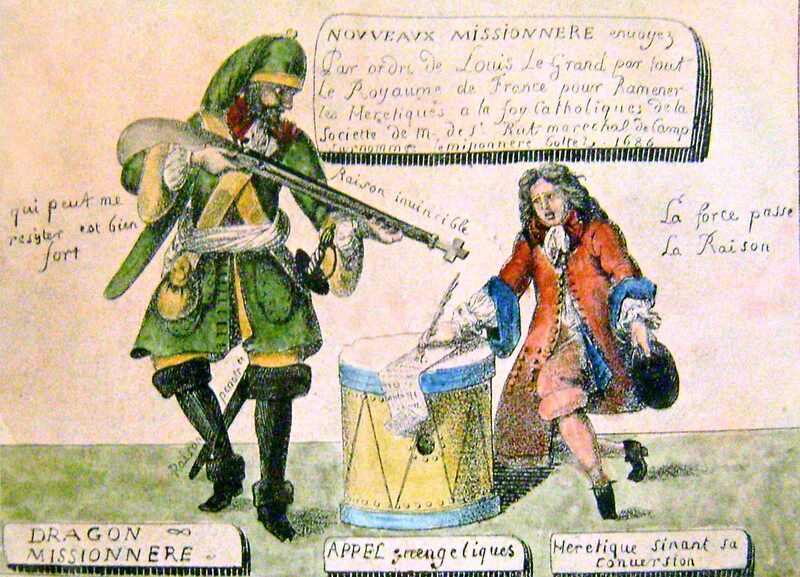 In 1681 the threat from the power Louis XIV and Catholic France to the protestant communities of Europe was not new, but in April of that year it had become a pressing issue for European Protestantism when Louvois’s policy of quartering of military forces on French Protestant families to effect conversion to Catholicism was introduced into the Huguenot stronghold Poitou. 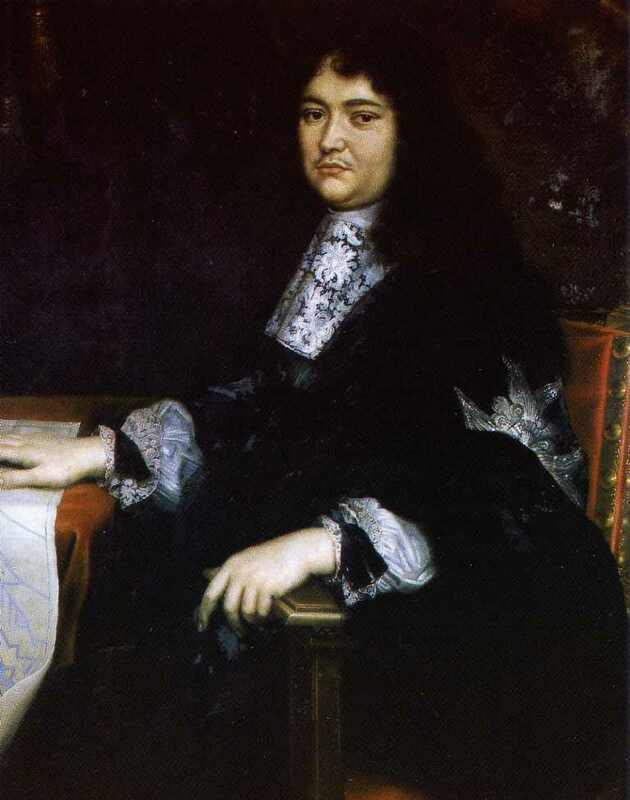 The cruelty of Louvois’s ‘dragonnades’ under the overzealous René de Marillac had quickly became infamous across Protestant Europe. For Cargill, the parallels between the oppression of the Huguenots in Poitou and the oppression of Society people in the Scotland must have been obvious. In late June 1681, Cargill was responding to events, as much as issuing a prophetic warning of foreign intervention. The immediacy of Walker’s narrative allows us to empathise with the discombobulation of the two Galloway men when they met Cargill. Creating a sense of confusion was, of course, Cargill’s intention. The two men had come to request his return to Galloway, an area he had briefly preached in a month earlier, to baptise and preach, but they left with Cargill’s warning for their brethren. What Cargill said would have been discussed and prayed over in society meetings. Like so much of his preaching, his message at Benty-rig challenged his hearers to look beyond the humdrum or their need for child baptism or their sufferings under oppression to see an apocalyptic and political struggle with the forces of anti-Christ and Catholicism, which was being played out as much in distant France as in the hills of Galloway. Bing near Stane © paul birrell and licensed for reuse. Did Cargill Preach at Benty-rig? However, the primary source for Donald Cargill’s visit to Benty-rig, Patrick Walker’s Life of Cargill, neither states that Cargill preached, nor mentions any sermon. Instead, it appears to suggest that Cargill hastened to Benty-rig for a meeting with the representatives of the Galloway prayer societies. Walker’s narrative then focusses on Cargill’s prediction of French persecution and foretelling of his martyrdom. Why did Brown claim that Benty-rig was the site of a Cargill preaching? Did Cargill stop at Benty-rig after he had hastened back from his Sabbath preaching in Fife and before he preached on the following Sabbath at Auchengilloch or did he preach at there on the Sabbath after he preached in Fife? The answer to that question is of some importance when it comes to the dates of Cargill’s final Sabbath preachings. There are two pieces of evidence which date Walker’s list of Cargill’s final preachings. The first is Cargill’s Sabbath preaching at Coulter Heights in ‘early June’ 1681, which must have taken place on either on Sunday 5 June or on Sunday 12 June. The second is Cargill’s final preaching at Dunsyre Common which took place on Sunday 10 July 1681. Given the evidence of Cargill’s haste to reach Benty-rig and the lack of evidence for a sermon, it is likely that Benty-rig was not the site of a field preaching and that the latter list is correct. 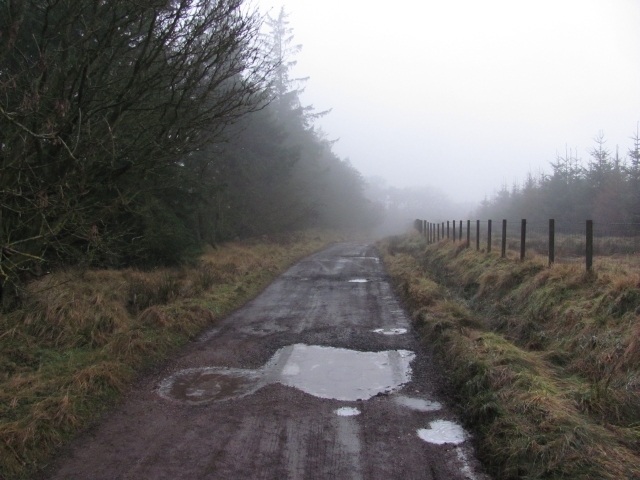 That view is confirmed by the evidence that Cargill preached at Devon Common near the Lomond Hills on 26 June. In short, Brown’s claim that Cargill preached at Benty-rig is probably inaccurate. Benty-rig was the site of a meeting between Cargill and representatives from Galloway on c.28 June 1681. Locating Benty-rig is not a straightforward task, as the placename evidence from later maps and the primary source appear to contradict each other: Walker states that ‘Benty-rig’ lay in Cambusnethan parish in Lanarkshire; the placename evidence from later maps suggests three other possible locations, either ‘Bainyrig’ in Shotts parish or ‘Benty rig’ in West Calder parish or ‘Benty Rigg’ in Carluke parish. In the end, the location of Benty-rig is dependent on your view of the geographic accuracy of Walker’s narrative. Like Hay Fleming, a later editor of Walker’s Lives, I have found Walker to be a far more accurate recorder of events than his rambling style may suggest. As Hay Fleming noted, ‘his quotations are fairly accurate, and his dates are on the whole amazingly correct’: Can the same be said of his geographic knowledge of the muirs that straddle the border between Lanarkshire and Edinburghshire? I think that it can, for three reasons. First, Walker appears to have been a native of area in which Benty-rig was located. 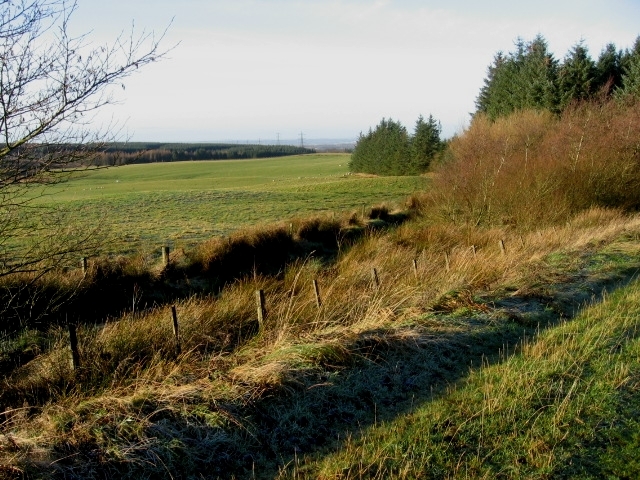 In 1684, he was recorded as the son of the deceased Patrick Walker ‘in Clugh’, which has been generally been identified as Cleugh, which lies just south of Wilsontown in Carnwath parish, Lanarkshire. The Doocot at Cleugh © Callum Black and licensed for reuse. 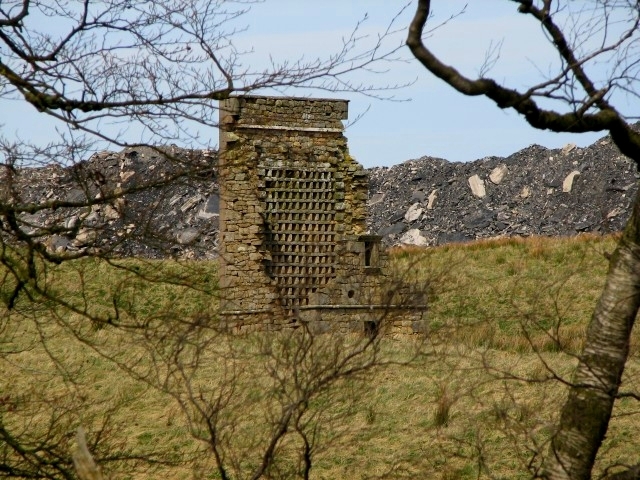 The doocot at Cleugh is of late seventeenth-century design and may have been known to Patrick Walker. Walker was involved in the shooting of a trooper near Mossplatt in Carstairs parish, Lanarkshire, in 1682. Ruin near Limerigg- Drumclair? © Richard Webb and licensed for reuse. After the Mossplatt incident, Walker claims that he was declared a fugitive. His name possibly appears on the Fugitive Roll of 1684 under ‘Peter Walker in Drumcria’, or Drumclair (possibly Wester Drumclair), in Slammanan parish, Stirlingshire. Drumclair lies near the boundary of Stirlingshire with Linlithgowshire and Lanarkshire, and is not far from where Walker probably lived in the years prior to 1682. Finally, when Walker was captured in mid 1684, he was taken to the ‘Thieves’ hole’ in Linlithgow, i.e Linlithgow Tolbooth. 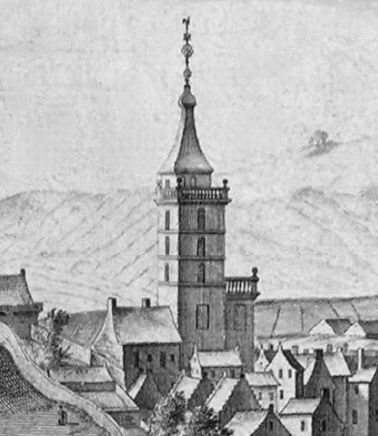 The Tolbooth’s Dutch-inspired campanile, now vanished, made it one the most remarkable buildings of seventeenth-century Scotland. Bing on Falla Hills © Richard Webb and licensed for reuse. The second reason to believe that Walker accurately identified the location of Benty-rig is that he pinpointed the locations of several conventicles in the surrounding area. He correctly identified the location of Cargill’s preaching at Fauldhouse Hills of September 1680. Walker refers to that location as ‘Fala Hill’ in ‘Livingston parish’. Today, Falla Hills or Fauldhouse Hills lies in Whitburn parish, but in the 1680s Falla Hills was part of Livingston parish. As we shall see, the site of the preaching at Falla Hills is close to the location of Benty-rig. Walker was also remarkably accurate when he pinpointed the locations Cargill’s preachings at Benry Bridge, as ‘betwixt Clyd[e]sdale and Lothian’, and at Cairnhill, as between the Lothians and Tweeddale. Walker knew the area around ‘Benty Rig’ well. However, despite Walker’s local knowledge and accuracy in pinpointing preaching sites, there is one good reason to doubt Walker’s accuracy when he described the location of Benty-rig: Walker was not present at Benty-rig. While Walker provides firsthand accounts of Cargill’s preachings at Falla Hills, Benry Bridge and Cairnhill, his information on the meeting at Benty-rig came from secondhand sources which may undermine Walker’s identification of the location. Walker mentions two sources of information in his account. First, in his story of Cargill’s conversation with two Galloway men he indicates that the Galloway men had spoken ‘to other Friends, in that Bounds, who were my very dear Acquaintance, who told me’. Second, his story of another of Cargill’s conversations at Benty-rig came ‘two very young Lads, who were my very dear Billies, whose Converse and Prayers together have been very edifying to me, and the Remembrance of it to this Day is savoury, who lived in the Starry-shaw very near that Benty-rig where he was, Thomas and John Marshals’. It is almost certain that Walker’s friends of ‘dear acquaintance’ and the Thomas and John Marshall refer to the same source. Near Starryshaw © Richard Webb and licensed for reuse. Walker’s use of ‘very near’ to describe the proximity of one location to another is unique in his works, as he almost always used ‘near’ when he discussed two sites in close proximity. His phrasing does suggests that Benty-rig lay close to Starryshaw (NS 897 608), which lies in Shotts parish, Lanarkshire. 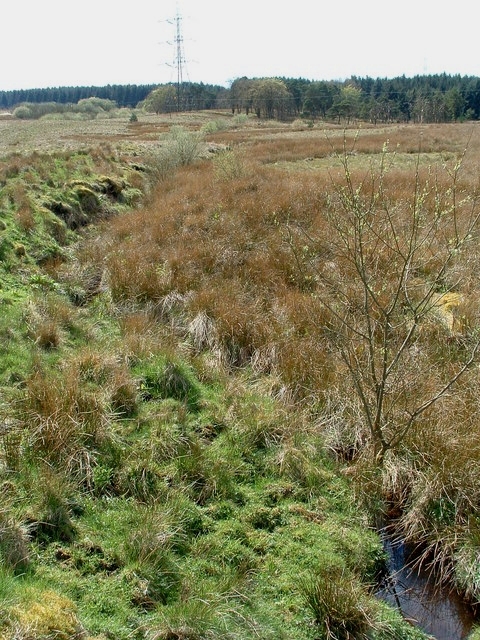 Although Starryshaw does not lie in Cambusnethan parish, it sits on the north bank of the South Calder Water, the river which marks the northern boundary of Cambusnethan parish. Stanebent with Starryshaw in the distance © James Allan and licensed for reuse. Brown’s Antiquities of the Parish of Cambusnethan states that Benty-rig lay near Stanebent: ‘Darngavel, and Benty-rig near Stanebent, are two of the places in Cambusnethan which Mr. Cargill frequently visited, and at which he preached’. Stanebent is a very short distance to south-west of Starryshaw and lies in Cambusnethan parish. Woodlands near Stanebent © Richard Webb and licensed for reuse. It is not clear on what basis Brown claimed that Benty-rig lay near Stanebent. It is possible that Brown had access to local traditions which associated Stanebent with Cargill or knew the location of Benty-rig. However, it is more likely that Brown based his claim on his interpretation of Walker’s evidence: If Benty-rig was ‘very near’ Starryshaw and lay in Cambusnethan parish, it must have been ‘near’ Stanebent. There is also a farm named ‘Benthead’ on Thomson’s map of Linlithgowshire which lies across the moss to the east of Stanebent and next to Cargill’s preaching site at Falla Hills, a.k.a. Fauldhouse Hills, in Livingston parish. A location near Stanebent is the only possible site which fits all of the criteria found in Walker’s Life of Cargill. However, the major flaw with Brown placing Benty-rig being near Stanebent is that there is absolutely no map evidence for any location or farm known as Benty-rig near Stanebent. It is possible that Walker got the general location correct, but got one or two elements of the description of the location wrong, as he relied on his recollection of information from long-dead witnesses. The four criteria which define Walker’s location of Benty-rig are that it was a building which lay by a moss, that it lay ‘very near’ Starryshaw, that it lay in Cambusnethan parish and that it lay in Lanarkshire. The old maps on the NLS website do not show a location called Benty-rig next Stanebent or Starryshaw. However, there are three sites which are relatively close to Starryshaw that are a good match for the placename. All three sites could be described as “near”, rather than ‘very near’, Starryshaw. Near ‘Benty rig’, West Calder parish © Alan Stewart and licensed for reuse. 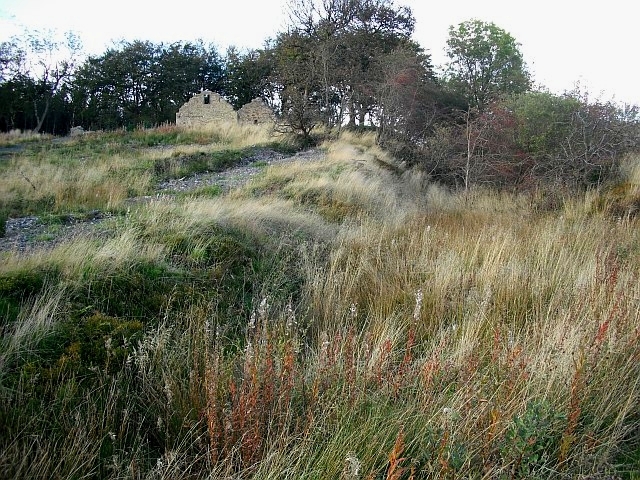 The first possible site is the farm of ‘Benty rig’ in West Calder parish, Edinburghshire, which lay 5.6 miles to the east of Starryshaw. The farm appears on General Roy’s map of Southern Scotland of 1747 to 1755, but appear vanished at some point in the late 1700s as it does not appear on Knox’s map of 1812 or Thomson’s map of 1821. It has the obvious advantages of being named ‘Benty rig’ and being located by a muir, but it does not lie in either Cambusnethan parish or Lanarkshire. 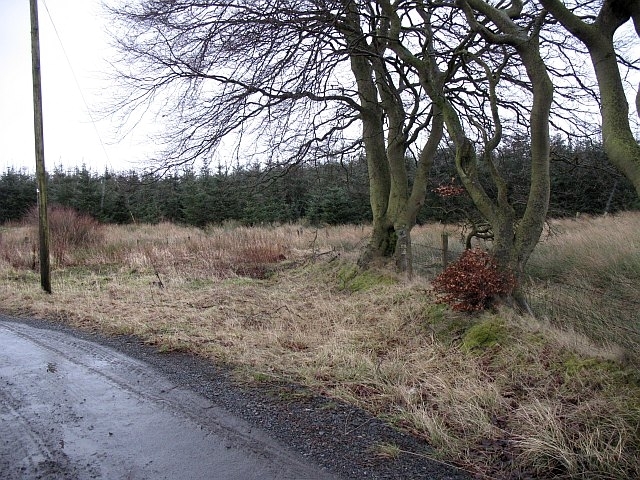 West Calder parish was not an area that Cargill frequented and it is distant from Starryshaw. It is was probably not where Cargill met the Galloway men. Monklands Sporting Car Club next to Bainyrig © Richard Webb and licensed for reuse. 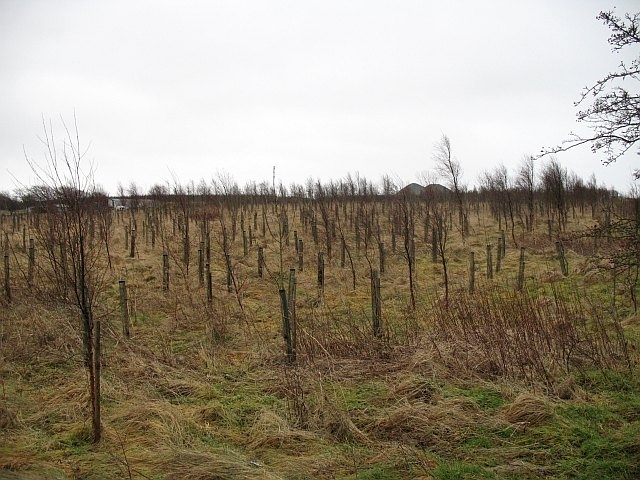 The second possible site is Bainyrig or Banyrig (NS 865 650), a farm in Shotts parish, Lanarkshire, which lay 3.5 miles north Starryshaw. The farm lay just to the north-east of the farm at Papperthill on General Roy’s map of 1747-55, on Forrest’s map of 1816 and on Thomson’s map of 1822, but it does not appear on the first OS maps. Bentfoot © Jim Smillie and licensed for reuse. 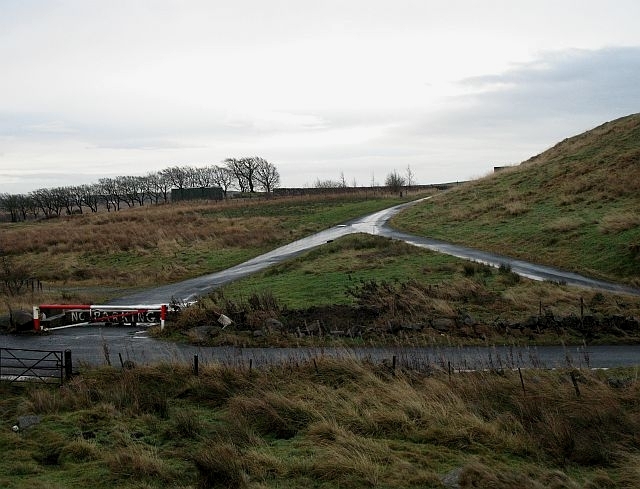 Bainyrig also lay close to a farm named Bentfoot, which lies below Papperthill Craigs. The placename Bainyrig may have been rendered by Walker as ‘Benty-rig’. It is not usual to find similar variations on placenames within his published works, such as ‘Bendry Bridge’ for Benry Bridge or ‘Lowden’ for Lothian. 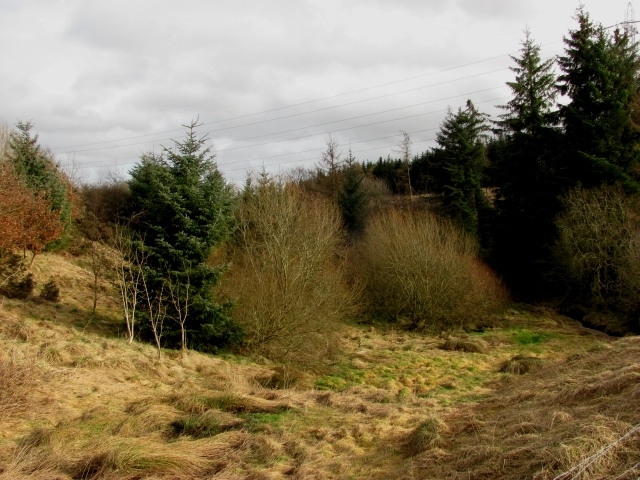 Bainyrig also sits by a moss and lies in Lanarkshire, however, it is not in Cambusnethan parish. However, the place name element ‘Bainy’ does not seen to fit with the description of ‘Benty’, as a place of Bent grass found on a moorland. Bainyrig also does not lie in an area Cargill is known to have field preached in. It is probably not a good candidate for ‘Benty Rig’. Papperthill Craigs © Richard Webb and licensed for reuse. 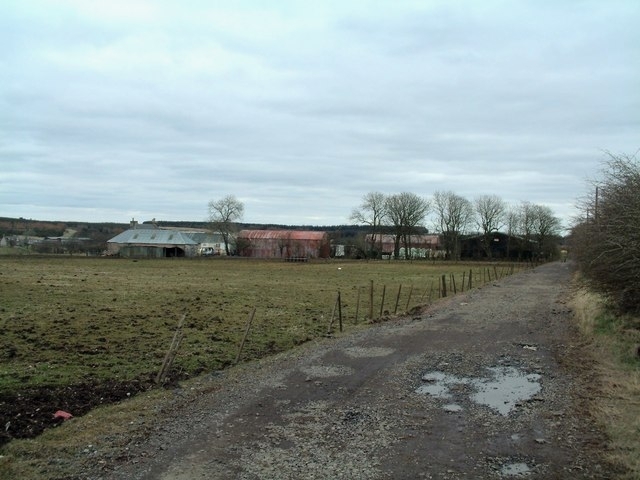 The final candidate is a farm called ‘Benty Rigg’ that lay in Carluke parish, which appears on General Roy’s map just to the south of both the hill called Kings Law and the boundary with Cambusnethan parish. The farm name is not on later maps, but ‘Benty Rigg’ appears to have been situated on the left bank of the Yieldshields Burn. The course of the burns in the area above Thorn has been altered since the days of Roy’s map. It is possible it became known as Thornmuir on later maps. 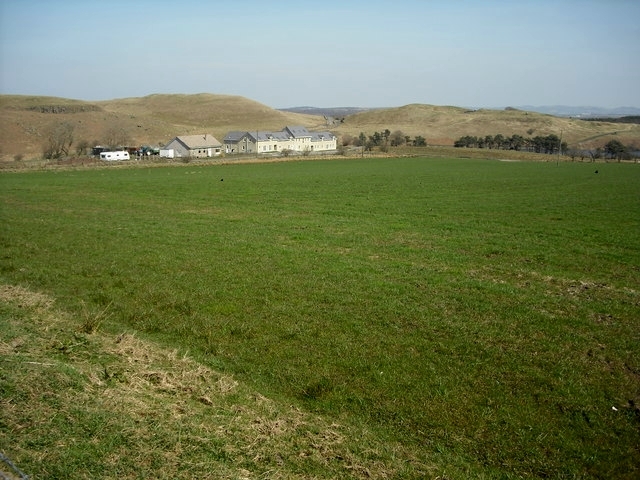 In many respects the Benty Rigg in Carluke parish is a good match for Walker’s description of the site, but it is not ‘very near’ to Starryshaw and does not lie in Cambusnethan parish, although it does lie close the boundary of that parish. 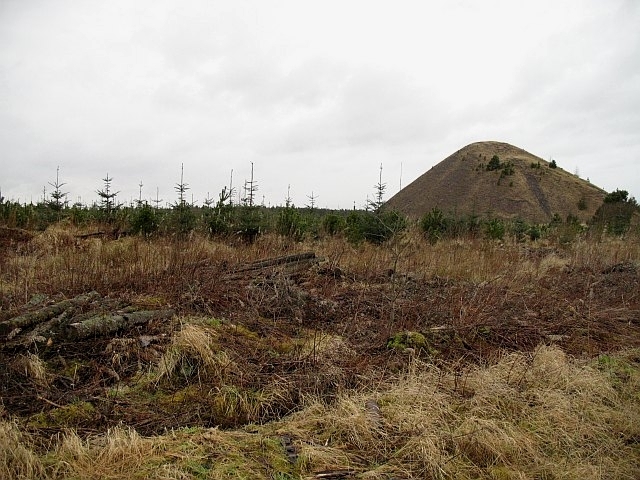 However, one factor in its favour is that the area appears to have been used for conventicles, unlike Bainy Rig in Shotts parish or Benty-rig in West Calder parish. Auchter Water © Richard Webb and licensed for reuse. Although no location is specified within the parish for the site of Cameron’s preaching, a glance at a map of the parish confirms that he probably preached in the moor to the north of Benty Rigg, as the landscape in rest of the parish does not match the archetypal remote moorland locations which were used by the Society people. Auchter Water © Chris Wimbush and licensed for reuse. 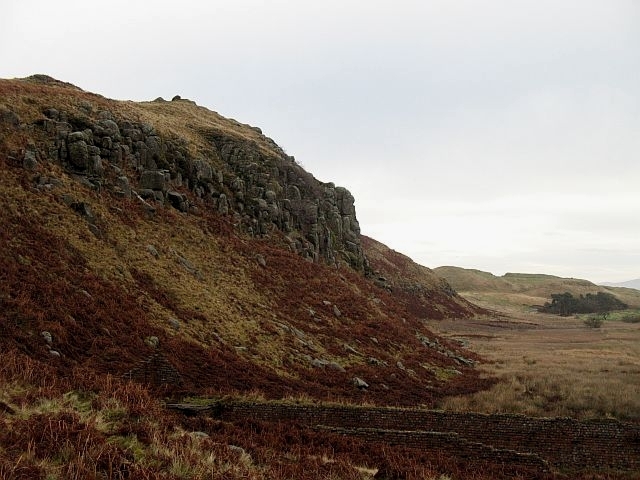 The description of the location of Renwick’s mustering suggests that it must have been held near the Auchter Water on Auchterhead Muir. 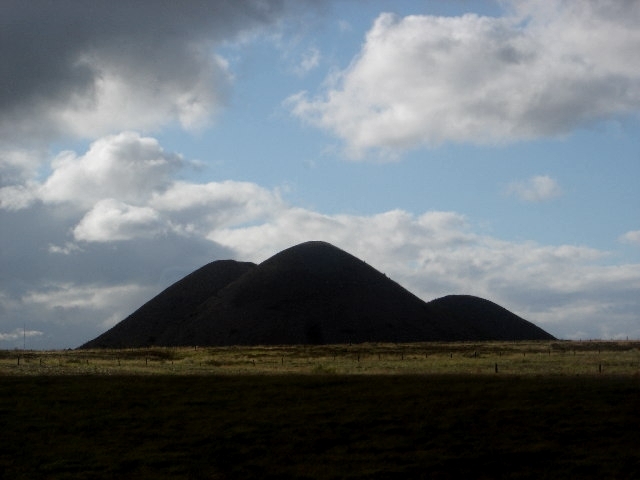 ‘Kings-hill’ refers to either the vanished farm which lay right next to the farm at Summerside or the nearby hill of that name. Both locations of that name lie just inside the boundary of Cambusnethan parish and are about a mile to the north of the site of Benty Rigg. Darmead, which lies along the Auchter Water from ‘Kings-hill’, is located about one-and-a-half miles to the north-east of the site of the farm at Benty Rigg. Near Benty Rigg © Richard Webb and licensed for reuse. Which site is Walker’s ‘Benty-rig’? All four sites have their flaws. All four sites have points in their favour. My own favourite, for now, is Benty Rigg in Carluke parish. ~ by drmarkjardine on February 24, 2011.